We've heard word before that the LG G6 will not include the innovative modular 'Friends' design the company launched with the LG G5 this year, and a new leak seems to have explained why. According to industry sources, speaking with ET News, the LG G6 will focus on a high-end, waterproof design instead of including modules which you can switch for different functionality. The rumor also suggests LG will continue to be one of the only high-end phone manufacturers that still includes a removable battery in handsets. The latest rumor additionally states that the LG G6 will support wireless charging, which is a rumor we've heard before from another source. 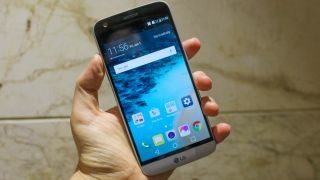 We’d expect the LG G6 to launch in March 2017, given that we saw the launch of the LG G5 at MWC 2016 this year, so there’s still quite a long wait until we'll know for sure what form LG's next flagship will take. It would be a little disappointing if LG dropped its modular design – it was an interesting line of innovation, and LG fans who had bought into the system will likely feel let down – but the company hasn't supported the feature by launching any new modules in recent months. Right now you can still only buy the two modules it launched back in March. If you're looking for a modular phone, you may want to opt for a Moto Z or Moto Z Play – Motorola has committed to delivering 12 new modules over the next year.